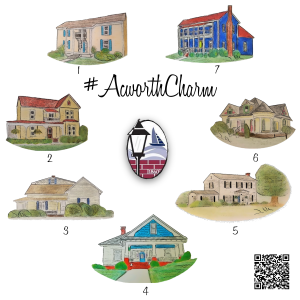 Acworth, GA (September 19, 2018) – Join us on this tour of Acworth’s most beautiful homes, all representative of our history! Starting at the McEver house, pick up your map and and tour these homes in whatever order you choose. Water will be provided and three homes will have wine & cheese. The 4th Annual Tour is on October 21, 2018 from 2pm until 6pm. This is a self paced walking tour, though there are areas to park if you wish to drive, and shuttles between the longer distances. You will need to begin no later than 4pm to ensure enough time to complete the tour. This tour started partly as a fundraiser and partly to help showcase the beautiful homes in Acworth. It quickly grew and by the 3rd year we exceeded our expectations and it took a life of its own. Now it’s a self paced tour, making it easier for visitors to complete at their convenience. This year we are coordinating with a local historic group to have docents with either a family tie to the home or know about the home from their childhood, which should make for a more quaint experience. We owe so much to Abbie Parks, local historian, for her guidance and wealth of information getting this tour started, as well as so selflessly allowing the use of her home each year! The tour ends near Center Street Tavern, another historic site, which has offered a $5 coupon off of $25 on each ticket. 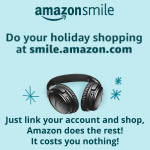 You can purchase HERE or by cash/check/credit card in the office from 9-3. Interested in sponsoring a home? Or being a Wine & Cheese Sponsor? For more information on the houses, click HERE this site will be updated regularly. Brookwood Christian School is a private, non-profit, non-denominational Christian school that serves students who have not been successful in public or private schools due to their unique learning needs: individual or multiple learning disorders such dyslexia, reading & language processing disorders, auditory processing disorders, attention deficit disorder, neurological disorders, and other specific learning disabilities. Most of our operating budget comes from tuition payments augmented by the Georgia Special Needs Scholarship (SB-10) program and the Georgia Tax Credit Scholarship (APOGEE). Eighty-six percent of our students receive some sort of financial assistance. Fundraisers like this help keep our operating costs and tuition low.